Certificate II Information, Digital Media and Technology uses social media tools, digital media such as sound,video and images, business applications and computer hardware and software to engage students who might wish to develop skills or to move into further study of IT at a higher level. Certificate II is offered online but two days of attendance at the college are required for practical assessment. Certificate III Information, Digital Media and Technology further develops skills in skills and knowledge for an individual to be competent in a wide range of general ICT technical functions and to achieve a degree of self-sufficiency as an advanced ICT user. The competencies include techniques in installing and configuring hardware and operating systems and small wireless networks, supporting users by troubleshooting software, hardware and peripheral faults. Electives in producing digital images for the web, building and maintaining websites or network administration, configuration and problem solving are available. All courses provide the opportunity to gain SACE credits at either Stage 1 or Stage 2. Call 8159 3100 to register for an information session. "Our thanks to the lecturers at Thebarton for supporting our students to achieve units in the Certificate 3 Information, Digital Media and Technology. The assistance shown to the varying learning needs of different students is greatly appreciated and the flexibility of completing Certificate III VET modules for SACE and for an ATAR is a tremendous benefit to students." 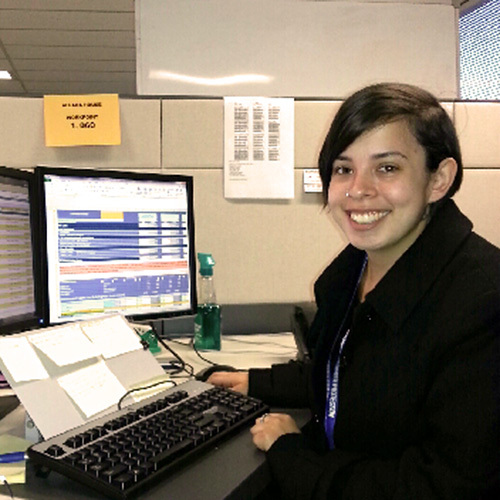 Sasha enrolled at Thebarton Senior College in order to finish off her SACE through the Certificate 4 in IT. She was interested in studying at Thebarton because the course offered her SACE completion as well as credentials that would help her gain employment in the IT industry. Sasha enjoyed her studies, especially the web and game design aspects and the extracurricular activities that were on offer. Helping the College attend the Supernova pop culture convention was a particular highlight. Having completed the course, Sasha was successful in obtaining a place in the Bachelor of Information Technology course at Flinders University as well as an ICT apprenticeship with Australian Customs and Border Protection Services. Ultimately, she chose to move to Canberra where her Certificate will allow her to finish her apprenticeship sooner than other school leavers.